The aims of root canal treatment are to relieve pain, preserve the tooth’s root structure and allow the tooth to be repaired so it can function again. Often a daunting experience, at Seymour Dental we use our expertise to ensure the procedure is as pain free as possible. The procedure involves cleaning out the hollow ‘tubes’ inside the roots of the teeth. Most of the tooth (about two thirds) is hidden underneath the bone, so if the tooth above the bone is strong enough to hold a filling, then saving the tooth through root canal treatment is a good option. 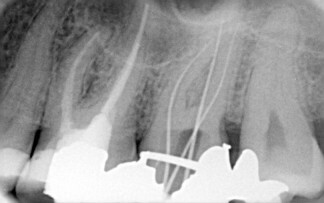 The treatment can be complex if there are a number of root canals or if the canals are curved or narrow. If this is the case, it can take a number of visits to complete the procedure. Instruments used are called files but sometimes we need to use a special hand piece with special files made of Nickel-titanium. These files are able to negotiate around curved canals. Allow the tooth to be repaired so it can function again. Do not bite any hard foods on it. Avoid nut and seeds. Especially avoid wheat grain breads. Otherwise the tooth may break or at worse split. If the tooth is sore on biting, then the bite should be adjusted to prevent pain and breakage. Take prescribed pain killers before the anaesthetic wears off, usually every 4 hours, to minimise any pain.